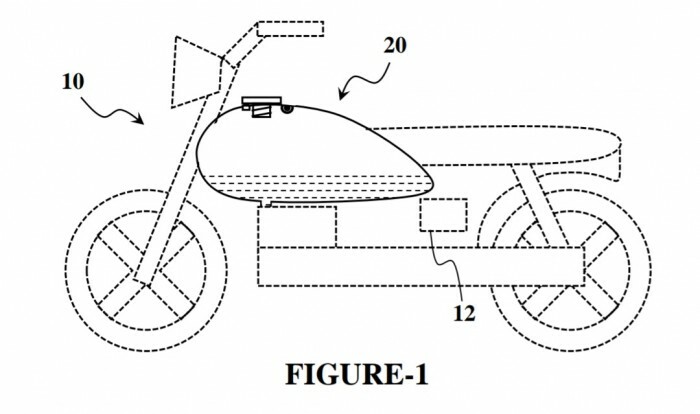 The present invention discloses an illuminable fuel tank of a motorcycle, primarily comprising of a normally-closed push switch, a tank cap, a transparent window; and an LED. Whenever the fuel tank is closed by the tank cap, the normally-closed push switch situated beside the fuel inlet, gets pushed and becomes open and thereby powers-off the LED. Similarly, whenever the cap of the fuel tank is removed, the push switch gets released and becomes closed, and thereby powers-on the LED. The light of the LED passes through a small transparent window on the body of the fuel tank, and enters into the dark chamber, illuminating the interiors of the fuel tank for visualization, including the fuel level. Page created at 2019-04-24 18:04:24, Patent Auction Time.